Herefordshire is a picturesque county set in the West Midlands which is notoriously famed for its beef, cider, literature, ancient maps and pleasant green pastures; it really is quintessential English! 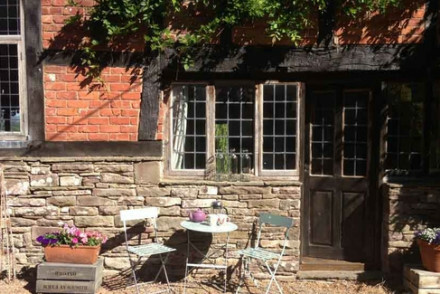 Our Guru's list of the best places to stay in Herefordshire offer quaint cottages, rural hideaways and stately homes insuring there's something for everyone. Herefordshire beef is notoriously tasty, and the county's green pastures are due to the moist valleys through which rivers wind, supporting the herds. Herefordshire's orchards are also famous for growing fifty percent of the apples in all UK cider - and, in case you didn't know, that's quite a lot of cider! In fact the region's county town, Hereford, even has its own cider museum. Hereford also boasts an impressive cathedral, which is famed for housing the Mappa Mundi - one of the world's oldest pieces of cartography. It also has some of the loveliest examples of those half-timbered Tudor and Jacobean buildings, and there's plenty of beautiful country around it to stroll in - especially on the 'Cider Trail'. For literature buffs the Hay on Wye Literary Festival is where the county's association with books comes from and is a ten-day summer festival that was once described by Bill Clinton as "The Woodstock of the mind"! Hereford Cathedral isn't just an impressive home for the Mappa Mundi and one of the Magna Cartas, it also has the world's largest Chained Library - yes, books were so precious they had to be chained up. Wander around and soak up the history, taking in the lovely stained-glass windows as well as the wonderful architecture. Hereford Cider Museum is a great place to find out all about the history and process of cider making. Learn how the Bulmer brothers created their own cider empire, visit the champagne cider cellars and enjoy a free sample in the gift shop. The National Trust's Berrington Hall is a stunning neoclassical mansion set amidst landscaped grounds. Designed by the famous 18th Century architect Henry Holland, it's one of his best-preserved properties. Wander around and learn all about daily life back in the day, including the typical upstairs-downstairs dynamic, and enjoy a picnic afterwards in the garden. Herefordshire has even more to offer than just the aforementioned highlights. It's close to the outdoor pleasures of the Brecon Beacons and the Wye Valley, (Ross on Wye is an ideal base for the stunning Wye Valley), and it's crammed with old market towns with beautiful bits and bobs worth exploring. So, it's understandably difficult to decide where the best places to stay in Herefordshire might be. Use our guide and start to plan your trip. Where To Stay - Which town? Hereford, the county's capital, is a lovely and quaint cathedral city. Full of historic architecture, with timber buildings that simply ooze character as well as a notorious cider museum, it's a very laidback option for a city break. Perched above the river you'll find Ross-on-Wye: a typical English market town with a number of castles and stunning views of the region. Leominster, located just north of the river Legg, is of a very similar ilk. Spend your days on long rural walks or pop into any number of National Trust sites that are dotted around the area. If river views in central Hereford are high on your holiday must-have list then Castle House is the property to book. Right by the cathedral and the remains of Hereford Castle's moat, this regency townhouse has been converted into an elegant hotel. If you enjoy roving, the Wye Valley is one of the best places to stay in Herefordshire. Limestone gorges, dense pockets of woodlands, then green expanses make this countryside as varied as it is beautiful. Wilton Court is ideally located for exploring the Wye Valley. One of the main reasons is that it's right on the banks of the River Wye. Originally an Elizabethan home, this glorious building has also been a Magistrate's Court, before becoming a very comfortable hotel - with an award-winning restaurant. 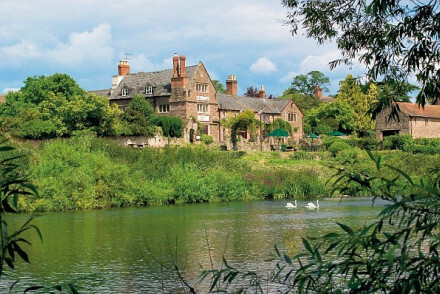 Wilton Court is also one of the best hotels in Herefordshire if you crave a quiet place to relax, take long strolls and sit in a beautiful garden contemplating the thoughts that the river throws up at you. Bliss. 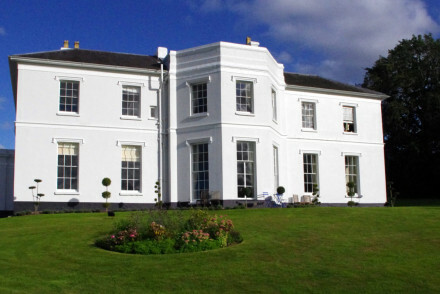 Brooks Country House, set in a Georgian manor house, enjoys a serene rural setting near Ross on Wye. Offering lovely accommodation which smartly combines original features and contemporary touches, there's a lovely spa in which to unwind after a day out hiking and splendid meals served up. Once a stately home, Glewstone Court is now a nine-room boutique hotel boasting wonderfully smart accommodation with antique furnishings and lounges featuring roaring fires. Plus, the restaurant's absolutely fabulous! The Saracen's Head is a half-timbered inn boasting ten simply-designed but comfortable rooms. Come back after a day out hiking to tuck into hearty fare. 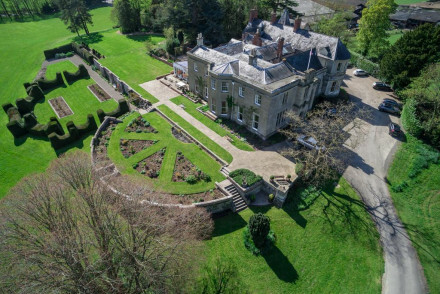 Burton Court is a supremely impressive estate, featuring two tastefully traditional and spacious rooms with glorious views of the garden. Enjoy hearty breakfasts each morning before setting off to explore the area. The Brecon Beacons are Herefordshire-adjacent, and many of the best places to stay in Herefordshire are also excellent bases for exploring these peaks and valleys. 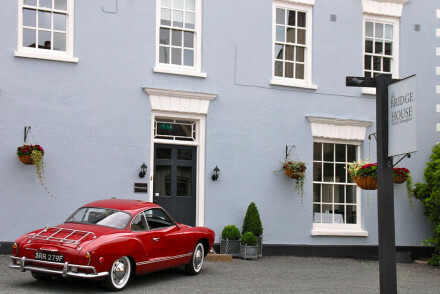 A 17th Century coach inn on the River Monnow, the Bell at Skenfrith has an excellent restaurant and eleven rooms. So it's still a coach house, really. The air is fresh, a lot of the food comes from their own kitchen garden and it's a wonderful gateway to the Brecon Beacons. It's also perfect if you're a fisherman - their ghillie can arrange fishing on the Usk, Wye or Monnow. The Baiting House is a 6-room inn which offers comfortable, charming accommodation and a collection of lodges which are ideal for families. Enjoy truly splendid food from the restaurant. The Riverside at Aymestrey is a very similar spot which boasts six country-chic rooms in a serene rural setting. Their restaurant is also noteworthy, serving up classic British dishes with a contemporary twist. Verzon has been transformed from a country house into a wonderfully chic hotel. Their smart rooms feature elegant furnishings and it also boasts a fantastic restaurant (with a number of ingredients produced on site). A charming getaway. Set on a farm, five-room Westbrook Court is a charming B&B with comfortable rooms. Spend your days enjoying the rural pleasures of Herefordshire. If you think that a self-catering option would best suit your needs then browse through the wide variety available online with our partner, Booking.com. Weather-wise, Herefordshire's at its loveliest during the summer - with July and August experiencing average temperatures of 16°C. It's hardly ever packed and so even in the middle of summer you won't find a huge amount of tourists, though accommodation may be more expensive at this time. The most convenient airports are Birmingham Airport, Bristol Airport, and Cardiff Airport. Birmingham Airport has a free monorail system linking the airport with the train station, and from there you can easily head to your final destination. From Bristol Airport, the Flyer Airport Express bus will take you to the train station for £7. If you arrive at Cardiff then hop on the T9 bus to the centre of town before then taking the train to Herefordshire. If you're taking the train then there are railway stations in Hereford, Leominster, Colwall and Ledbury. Browse through our list of all the best places to stay in Hereford. Widen the net and search through all the best places to stay in neighbouring Gloucestershire and Shropshire. 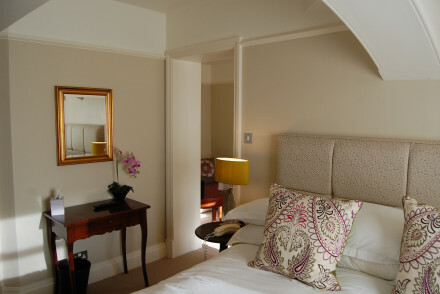 Elegant regency townhouse hotel bang in the centre of historic Hereford, a stone's throw from the Cathedral. Classically styled rooms, with suites for families. Excellent restaurant and bistro serving locally sourced produce. 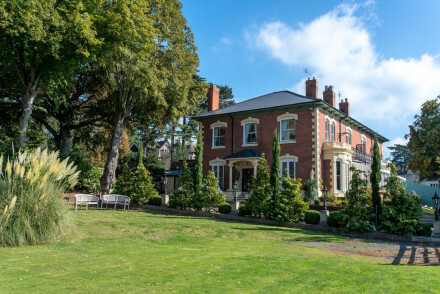 An elegant Victorian house set in expansive private gardens in the heart of Hereford. A handful of traditionally styled rooms are comfortable and spacious. An indulgent breakfast is served in the smart dining room and you'll find yourself a short stroll from numerous restaurants. Local exploring - Ideally located in the heart of Hereford and just a stroll from the cathedral. Sights nearby - Visit the majestic Belmont Abbey founded in 1859. Great walks - Take scenic strolls along the river path. A stately home, turned boutique hotel, set in two acres of manicured gardens. Nine individually styled rooms are traditionally dressed and spacious. A number of elegant lounges feature roaring fires and antiques. The award winning restaurant is worthy of a visit alone. Country Escape - Expect manicured gardens for a stroll and acres of glorious walking country surrounding the property. Great walks - Explore the miles of scenic walking trails running through the Forest of Dean. Sailing - Take a scenic cruise down the River Wye. A boutique inn with superb restaurant, set in a scenic and secluded spot, offering a collection of rooms and lodges. Traditionally dressed rooms feature white-washed walls, beamed ceilings and crisp white linen. Lodges sleep up to four and are ideal for families. A delightful rural escape. 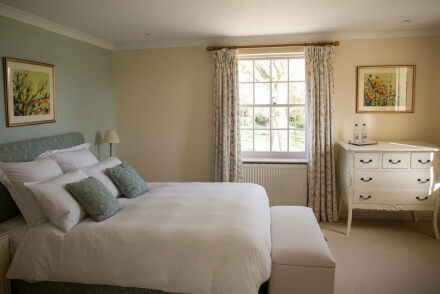 Country Escape - Cosy bedrooms, hearty food and beatuiful walking country make this ideal for a rural getaway. Great walks - A number of scenic walking routes have been laid out by the hotel. 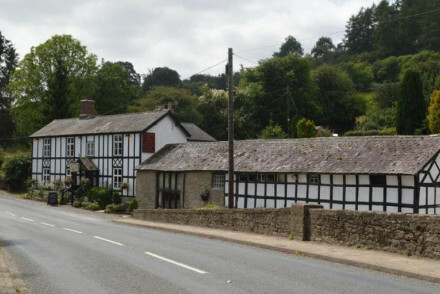 A traditional Inn set besides the picturesque River Lugg. Housing six individually styled rooms featuring country art, soft floral patterns and garden views. The restaurant is worthy of a visit alone serving traditional British fare with a modern twist. Country Escape - Expect plenty of atmosphere, superb walks and hearty food. Great walks - Choose from one of the twelve circular walks designed by the inn. Fishing - Try your hand at fly fishing on the River Lugg. 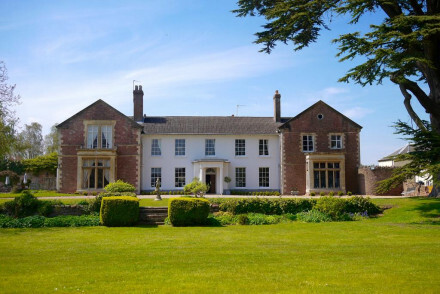 Brooks Country House enjoys a serene countryside setting near Ross on Wye, Herefordshire. This Georgian manor house offers wonderful accommodation combining various original features with contemporary touches. Come back after a day out hiking and unwind in the sauna! A top retreat. 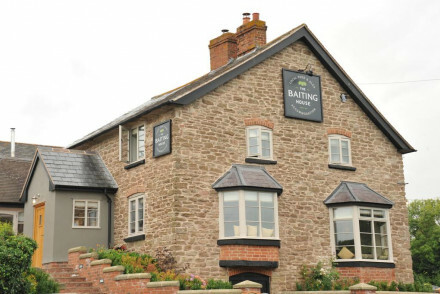 A charming B&B set on a traditional farm, in the rolling countryside of Herefordshire. The B&B itself is a modern timber-clad building and it houses stylish, chic rooms that open out onto sun decks. Perfect for walking holidays in the Brecon Beacons or fishing trips to the River Wye. Active Holiday - Great walking opportunities in the Brecon Beacons and excellent Salmon fishing on the nearby River Wye. Country Escape - Set in beautiful rolling Herefordshire countryside, perfect for a relaxing break from the city. Local exploring - Explore the charming Hay-on-Wye with its art galleries and antique shops. Fishing - Anglers will be please to hear you can take fishing trips on the nearby River Wye. 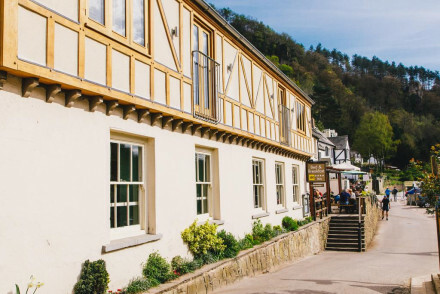 A half timbered Inn offering modern accommodation and outstanding views across the beautiful Symonds Yat. Ten simply designed rooms are light and airy with crisp white linen, white-washed walls and parquet flooring. A fantastic restaurant is the perfect spot to return to after a day's exploring. Country Escape - A riverside property set in a particularly beautiful part of the British coutryside. Great walks - Take long walks along the river and through the beautiful countryside. Fishing - The Inn provides free licenses to fish on the River Wye. Sights nearby - Visit the majestic 12th century Goodrich castle. Symbolic of the county's famous black and white houses, Buzzard House is an excellent B&B. Offering elegant, comfortable rooms, a lovely garden and delicious home cooking, it's ideal for a relaxing weekend away in Herefordshire. Local exploring - Dilwyn, the nearest village, is one of the highlights on Hereford's black and white village trail. Sights nearby - Explore Herefordshire's famous Black and White Village Trail. Local markets - Browse the wares at Ludlow market. 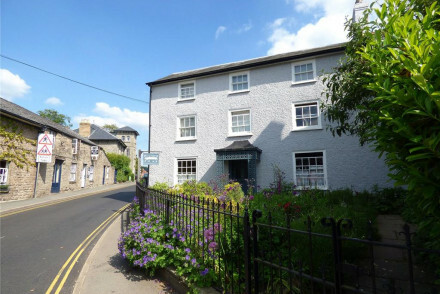 A charming historic townhouse in the heart of Hay-on-Wye. The friendly and helpful hosts provide a hearty breakfast and wholesome light meals, and there's a homely sitting room with an open fire. Cosy rooms are simple and rustic with antique furniture and pretty vintage furnishings. Delightful. A stunning white Georgian house located on the River Wye. Elegant white-washed rooms feature well placed paintings and a few choice antiques. The views are spectacular, breakfasts delicious and there's plenty to keep all entertained in the surrounding countryside. Country Escape - A gorgeous Georgian country house with endless country pursuits in the surrounding area. Fishing - The Wye Valley and Forest of Dean offers some excellent fishing both on the River Wye itself and its many tributaries. Great walks - Enjoy some of the loveliest walks in Britain to be found in the hillsides and meadows surrounding Ross on Wye. Kayaking - The River Wye is renowned as being one of the best places to kayak and canoe in Europe. Set in a beautiful country house, transformed into a chic hotel. The rooms are cosy and comfortable with elegant furnishings and tasteful artwork. Downstairs, there's a stylish restaurant with a picturesque veranda for warm weather. Ideal for a weekend away in the countryside. 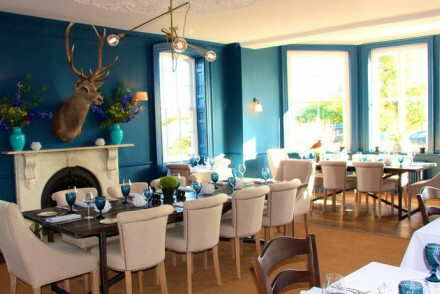 Foodies - Foodie heaven- the farm produces Chase vodka and gin, cattle and pigs, and you can sample it all at the fantastic restaurant. Country Escape - Ideal for a weekend away in a charming Herefordshire country house. Great walks - Work up an appetite while exploring the beautiful surrounding Herefordshire countryside. Local markets - Browse the Ledbury farmers market and pick up some of the best regional produce. Country restaurant with rooms on the banks of the River Wye. Wholesome country food, elegant rooms, beautiful garden lawns. An impressive estate offering just two rooms, ideal for a quiet weekend away. Unsurprisingly spacious, the rooms are also tastefully styled with just the right amount of antiques, softly patterned wallpaper and with spectacular views. Breakfasts are served in style in the elegant dining room. Country Escape - Enjoy a slice of the good life in this splendid country house set amidst beautiful parkland. Great walks - Take long beautiful walks through the surrounding countryside. Sights nearby - Visit the magnificent cathedral in Hereford.